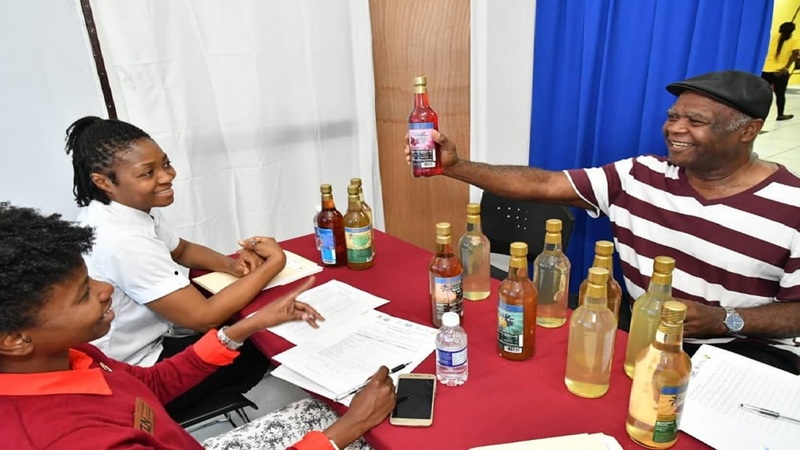 Tropical Wines Proprietor, Winston Butler showcases his fruit-flavoured wines to judges Simone Harris (left), Tourism Networks Analyst at the Tourism Enhancement Fund (TEF) and Jamaica Promotions Corporation’s (JAMPRO), Marcia Evans. A total of 130 local manufacturers and artisans presented their locally-made corporate gift items at an assessment session for Christmas in July at the Jamaica Business Development Corporation (JBDC) Incubator and Resource Centre last week. 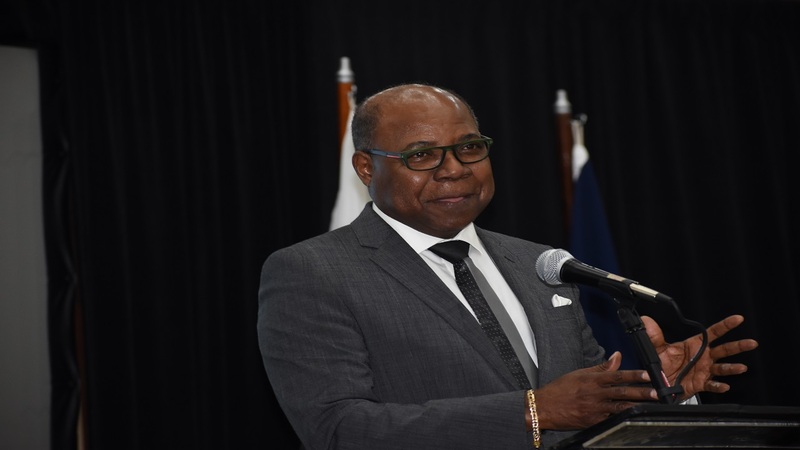 Following the assessment, an evaluation and final selection will be conducted ahead of the main event slated for July 19 at the Jamaica Pegasus. Christmas in July seeks to provide Jamaican producers of corporate gifts and souvenir products with the opportunity to access a market segment while adding uniqueness and creativity to product offerings. 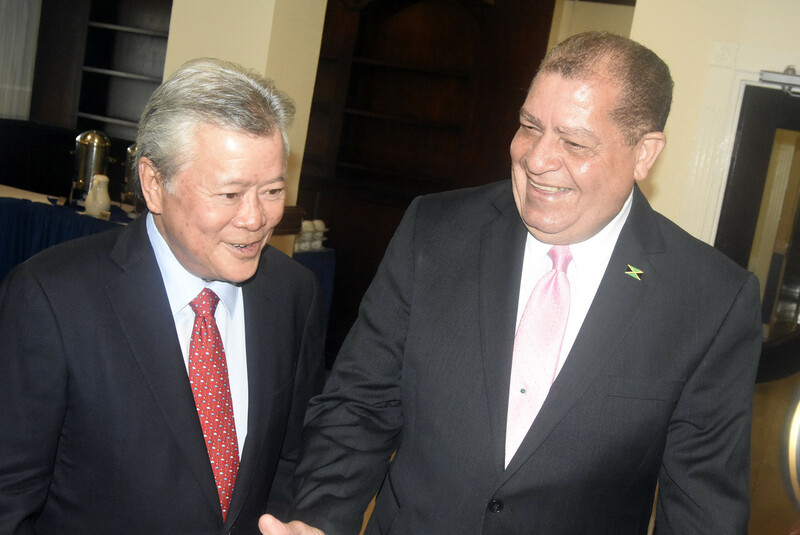 The event is hosted in partnership with JBDC, Jamaica Manufacturers’ Association (JMA), Jamaica Promotions Corporation (JAMPRO) and the Jamaica Hotel and Tourist Association (JHTA). 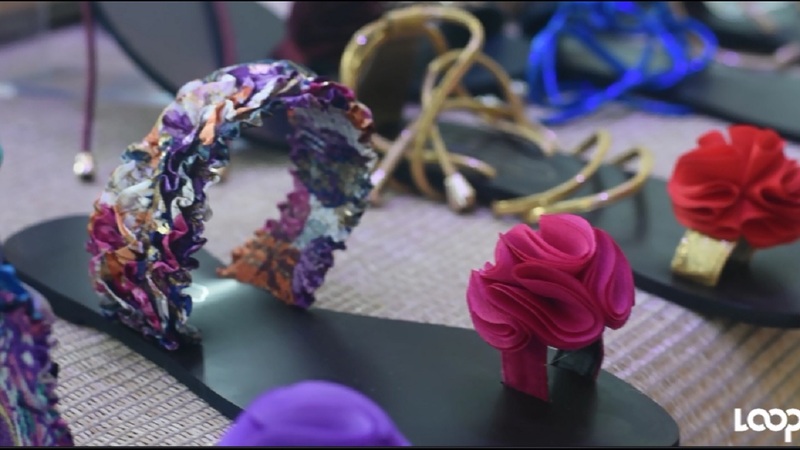 All products have to be made with materials sourced locally, proven to be at least 70 per cent locally manufactured or assembled highlighting strong Jamaican cultural influences and themes ranked favourably in accordance with the guidelines stipulated. 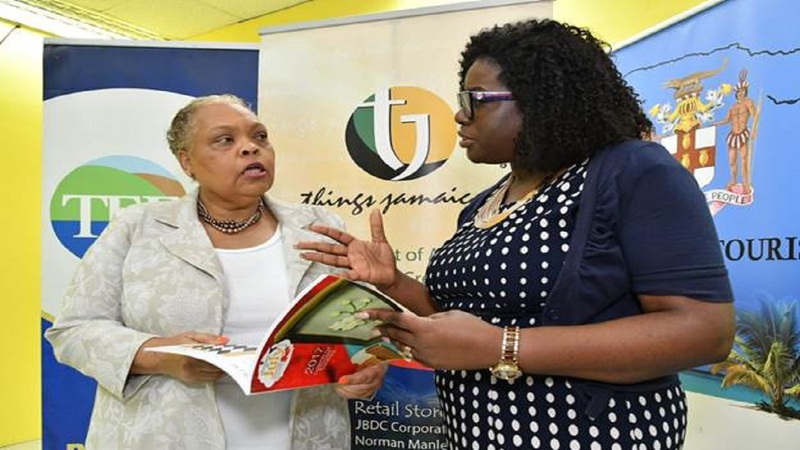 Director of the Tourism Linkages Network, Carolyn McDonald-Riley (right) and Chief Executive Officer of the Jamaica Business Development Corporation (JBDC), Valerie Viera discuss the contents of the 2017 Christmas in July corporate gift catalogue, following the opening ceremony of the assessment session for this year’s Christmas in July event. Head of the Tourism Linkages Network, Carolyn McDonald-Riley, shared that this year the Network is pulling out all the stops to ensure that this is the most successful event of its kind to date. “We have revisited the Christmas in July concept this year and are ensuring that innovation is the primary theme. We are heartened by the response so far and are encouraging our local manufacturers to continue to push the envelope with their products,” she said.